Developed at a cost of Rs 3.5 crore, the GMC has very advanced features and facilities. Bengaluru: The state government may shift some of the media interaction of ministers and other such activities to Gandhi Media Centre (GMC) which was inaugurated on Tuesday by Chief Minister, H.D. Kumaraswamy at the headquarters of the Department of Information and Public Relations(DIPR) here. Inaugurating the Centre, Mr Kumaraswamy said that he will talk to his cabinet colleagues on shifting the media interaction and other functions to GMC so that the facility is put to best use. "When I was the chief minister for the first time (heading a JD(S)-BJP coalition government in 2006-07) , I inaugurated the building and today, I am fortunate to inaugurate one more facility," he said. Mr Kumaraswamy also said that the M.R. Sreenivas Murthy report on restructuring the DIPR and filling up the existing vacancies would soon be implemented. The new media centre has a LED wall, LCD screen and 125 seats which have been fitted with microphones. "My friends in the media should not think otherwise. If they start using this Centre, the unnecessary inconvenience they face during media interaction in Vidhana Soudha can be avoided.” the CM said. Mr Kumaraswamy received a rare picture of him holding a catch in a cricket match, from the DIPR director, N.R. Vishukumar. Mr Vishukumar said on the occasion that the department has proved its efficiency and professionalism all along. Media secretary to the chief minister, H.B. Dinesh who also spoke on the occasion, drew the notice of the chief minister towards a major problem that the department is suffering from— shortage of staff. 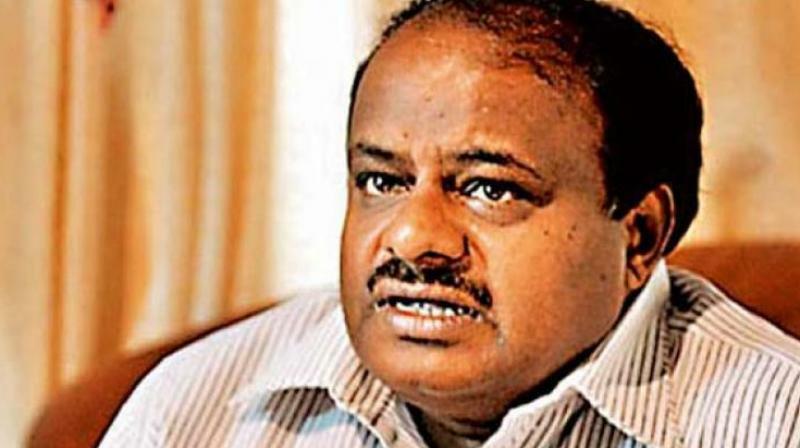 Mr Kumaraswamy assured him that he would look into the issue.